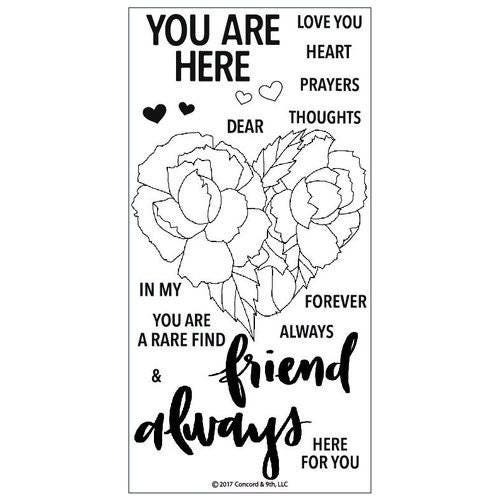 You'll love being able to mix and match sentiments for your sympathy or thinking of you cards using the You Are Here Clear Acrylic Stamp Set. The package includes 19 stamps by Concord 9th that can be used with an acrylic block and your favorite mediums sold separately. This set comes on a handy 4" x 8" storage sheet and the stamps measure from .75" x .25" to 3.875" x 3.5".